When it launched in 2003, the new Stokke Xplory was the most significant revolution in pushchair design since aircraft design engineer, Owen Maclaren created his original lightweight, foldable baby buggy back in 1967. 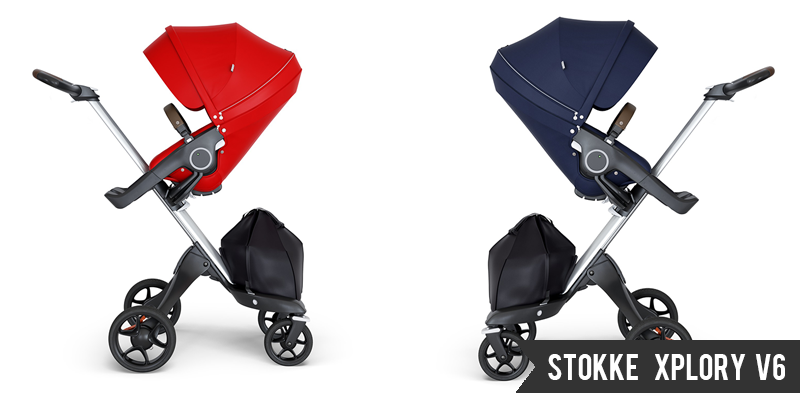 The 2003 award-winning Stokke Xplory turned every aspect of pushchair design on its head to create a defiant stroller that challenged traditional notions of child transportation. No, fifteen years on from the original launch the Stokke Xplory is more current than ever. Since 2003 competitors have slowly but surely raised their game (and their seats) because simply put, higher is better. 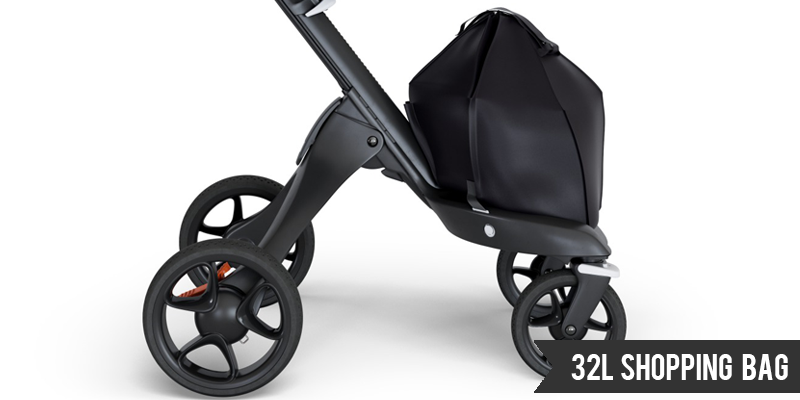 The New Stokke Xplory V6 is without a doubt, Stokke's best stroller to date. Retaining all of its essential baby and parent-centric features that encourage interaction, connection, and bonding are all still there but with some additional fine-tuning to its useability has been thrown in. Single-Handed Fold - The fold had long been a sticking point for many potential consumers. With the V6 that awkward fold is finally resolved and with a relatively straightforward adaptation. Sure, you will only ever truly appreciate the new fold if you have owned a previous version but I can you that it is incredible! The Ultimate Carrycot - Back in 2003 when Xplory launched there wasn't a carry-cot option. That came later in the form of the Xplory Baby Bag which since then has undergone a few adaptations of its own. The new Stokke Xplory V6 Carrycot has a complete re-design. Luxuriously padded, spacious, comfortable and practical, The new carrycot takes on a softer vibe with sleek new exterior textiles. A nod (perhaps) to its roomy Stokke Trailz counterpart? 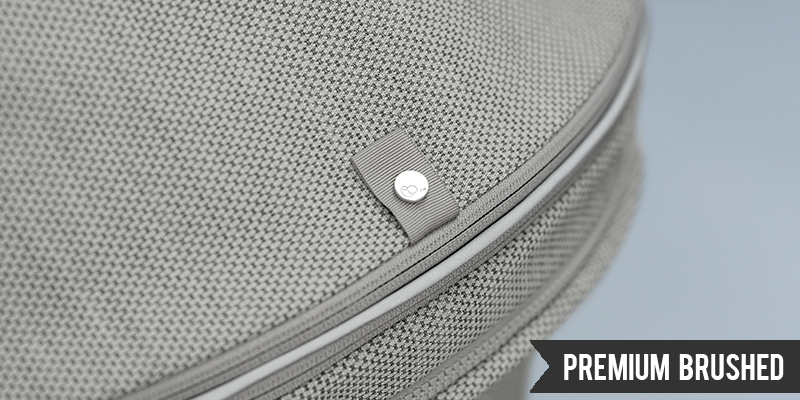 Superior base air ventilation, a breathable Sorona fibre mattress, integral hood canopy, internal storage pockets and a removable carry-handle all work seamlessly to make what has to be the ultimate carrycot? Integrated Seat Footplate - There's no denying that the removable foot plate on previous Xplory seat could sometimes be fiddly. Turning the seat from parent to outward facing with style and panache could often seem like a dark art that may never be mastered.. And despite being one of the essential ergonomic design features, it was the easiest part to lose. The newly integrated footrest designed in close collaboration with paediatric physiotherapists ensures that little legs get the support they need and that you can never accidentally leave it behind. 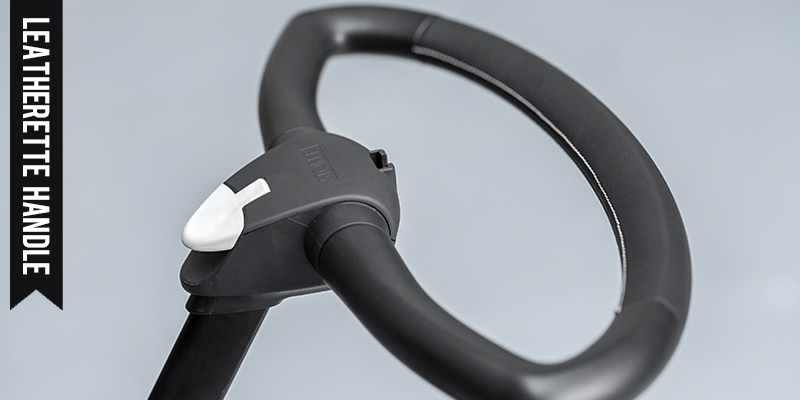 Hinged Bumper Bar - Now bound in your choice of soft black or brown leatherette, the new hinged bumper bar makes access to your little one quick and easy. 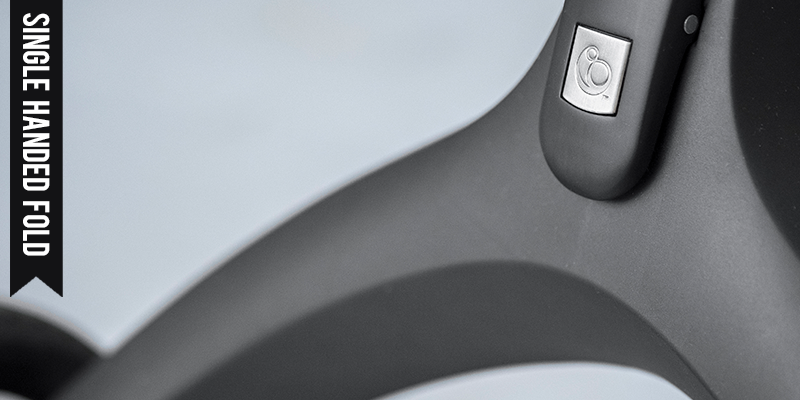 It's easy to remove and doubles-up as the carrycot carry handle. The new leatherette theme continues through to the chassis handle which is also now bound in your choice of brown or black leatherette. Extra Large Shopping Bag - Personally, I've never understood why people say that Xplory lacks in storage. The new V6 takes the storage criticism and rolls with it... responding with a vast, removable, wipe clean 32litre capacity shopping bag that will challenge even the most avid shoppers. The second, probably most significant change to the storage is that it no longer co-ordinates with your fabrics. It's now only available in one colour - black. New Premium Fabrics - The final addition comes in the form of two new Premium Brushed Fabrics. Premium Brushed Grey and Premium Brushed Lilac and they are really beautiful. Athleisure - Two new colours Athleisure Pink and Athleisure Grey that co-ordinate with the newly launched Athleisue MyCarrier colurs. The Athleisure Xplory's aren't limited edition but they will onlty be available for a limited period. Base Colours - The standard colour range remains (almost) unchanged with Black, Black Melange, Deep Blue, Grey Melange and Red. Lotus Pink replaces Purple (but it's not available in the UK). So there you have it. 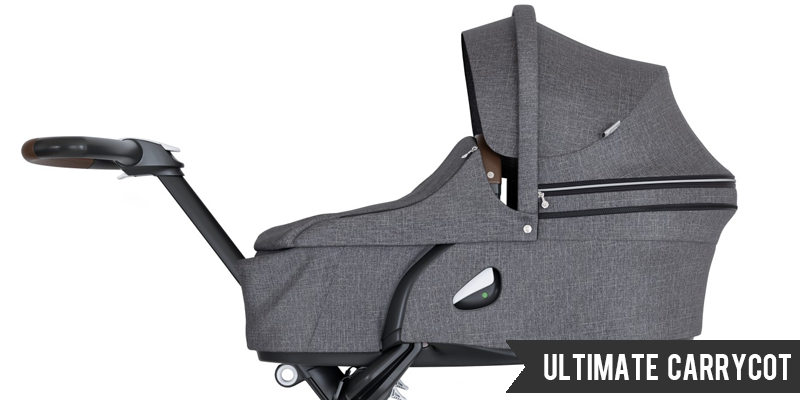 The full rundown on the new Stokke Xplory V6. What do you think? Do you like the new features? We would love to hear your thoughts in the comments. If you are interested in The Evolution of the Stokke Xplory and how it has grown in the last fifteen years. You might like to read this.